This article is long overdue. We have gathered evidence and the facts surrounding the pitfalls, cheats and cons in buying beekeeping equipment. Buying quality hive parts is a minefield, particularly for the novice, and we hope to help you navigate your way though the process with experienced advice, so your beekeeping experiences are happy ones! We will show you what a mess you may be getting yourself into if you buy based on price only. Remember, you get what you pay for! While it’s always smart to shop around, this article will empower you with a bit more knowledge of how beehive parts vary, and what to look out for when shopping to protect yourself, and your bees! An important question to ask yourself: Do you want to keep bees, or become a skilled carpenter? Any wooden bee equipment less than top quality will require you to have what amounts to a small carpentry workshop. So, if you own a router, jigsaw, bench saw, sander, and have lots of time on your hands, then second quality goods are for you! Buying ‘SECOND’ Grade Goods: A Nice Way of Saying DEFECTIVE! Just when we think we’ve seen it all, we read that a UK beekeeping supplier is selling “third grade” equipment! “Third Quality” is a poor attempt at clever marketing. Apparently, these shysters hope that if they can create a third level standard, and manage to sell this stuff on, it opens a door to predatory marketing aimed at beginning beekeepers looking to save some money. So you ask, “But what is wrong with Second Quality hive parts? I’ve bought ‘second hand’ china cups and such, they just had tiny blemishes that were no bother.” Well, china cups and hive parts are a million miles apart. The reason for using only top quality wood parts for working beehives is because knots, splits and warped wood wreaks havoc for our bees. Knots are created by a side branch off the main trunk of the tree. It costs more to get a complete piece of wood with no knots. 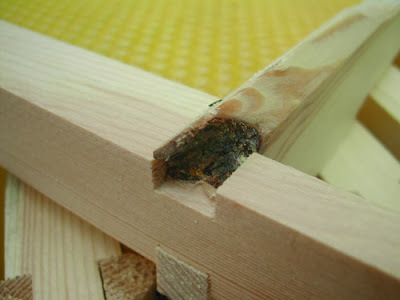 Hence unscrupulous suppliers will try and sneak in hive parts with knots. They paid less for it and charge you more! Higher profit for them, terrible results for you. 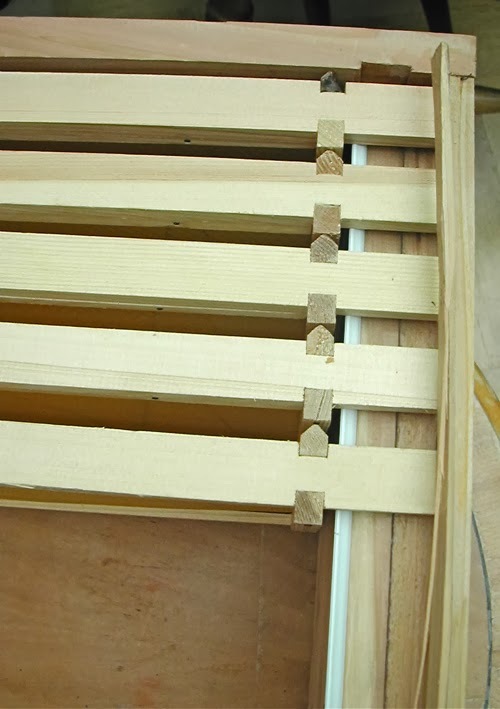 If you buy your wood in flat-packs, ask the supplier to cut the retaining straps so you can examine the wood for defects. If the supplier refuses, they may have a very good reason: poor wood quality! Even the tiniest of knots will compromise the integrity of the hive. 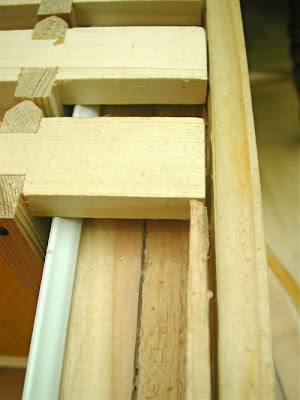 For example, Brood Frames are very important to keep intact. Since we will be handling them often, repeatedly pulling them out, pressing them back, they must be in sound condition. A knot near the lug handles will weaken the entire frame. We have had so many frames break at that weak point of the handle! Your bees will have worked so hard to draw a full comb and fill it, only to have it break, and inevitably, to be thrown away. Such a valuable comb ruined by a tiny defect! The stress that brace combs and propolis put on a brood comb is tremendous. The last thing we need is a substandard frame to begin with. That is a true false economy! With your boxes exposed to the elements, wet, hot, and dry weather causes the wood to expand and contract. However, the knot will not! In time, it will work itself loose, and now you have an unwanted hole in the box. This will allow wasps, ants and robbing, not to mention making it easy for woodpeckers and mice to find your hive. Refuse knotted wood! Look closely at the wood. Unfortunately, some suppliers might try to hide the thin cracks and splits by turning the wood around and strapping them together in a bundle. It is only when you cut the straps that the true condition of the wood is revealed! As a beginner, you may not appreciate just how badly this portends for the long term. Again, boxes exposed to the elements expand and contract. As water enters the crack, it will widen in time. A crack soaked with water, then frozen in winter weather, will expand by 40 percent! 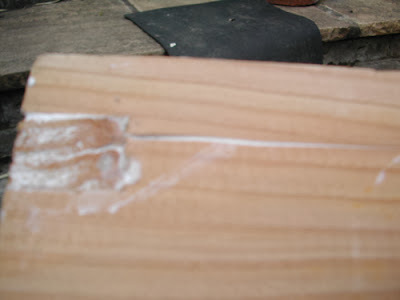 This will increase the crack, harbouring mould and providing an open invitation for insects to house in the wood. The life of your beehive is greatly reduced–but your “discount” supplier will not tell you this. When shopping for hive parts, this is a real problem. 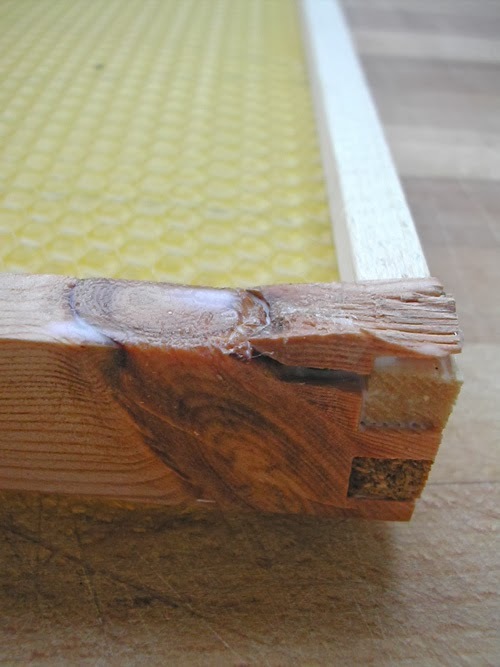 If you’re new to beekeeping you’ll likely blame your carpentry skills when the parts aren’t fitting together. 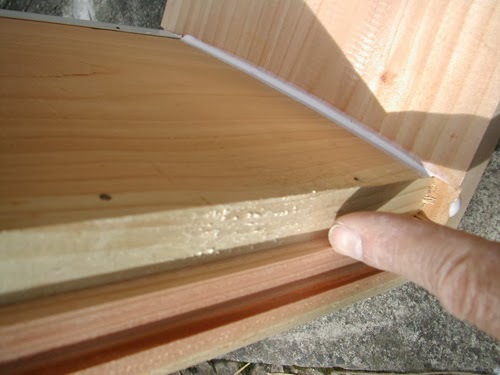 Once you force a warped board into another the stress will cause the wood to split, and the box will not hold up over time, while again allowing free entry to wasps, ants, spiders, woodlice, etc within your hive! It is very important to get the box parts glued and nailed as soon as possible, to lock in the form before the wood begins to move or bend. When you get your flat-packed hive parts, you have around 72 hours to nail them together to be certain no warping will occur. Natural untreated wood carries an ever changing level of moisture. Depending on the temperature and humidity at the production factory, that water content will be initially stable during its life as a raw wooden board. However, once the wood is shipped to you and you put it in a centrally heated room, it can begin to dry out too rapidly, leading to twisting and warping. You may notice that the supplier will double strap the super/brood box, hive stand, etc. This is to keep it all together for shipping, and help reduce the warping and movement of the wood. 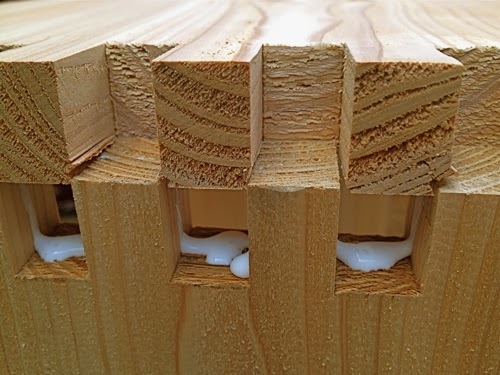 The wood undergoes quite a climate change from milling to packaged product, and if the wood has knots, splits, or soft grain, it will significantly increase the chances of it warping. It could be that the supplier made them in a cold wet warehouse, stored them in a mildly dry cool unit, and then shipped them from there to you. Many of you will be thinking, “Hang on… Cedar Wood does not warp…” Unfortunately, we have lost so many boxes in the early years that were made of cedar. They simply could not withstand hard daily use. If you use a hive tool to separate the boxes, and just slightly miss the join between the boxes, your hive tool will gouge and splinter the wood. If we should inadvertently drop a full super on the ground too hard, or knock the edge onto another super stack, the bottom edge splits away. Cedar just does not have the resilience that deal or pine has. We got so to tired of nailing bits back onto cedar hives, we got rid of them and now only use deal. We have deal hives from the 1930s still in operation today. The supplier will try and get you to believe that the great benefit of cedar is that they weigh less. This is true, but cedar’s relative lack of resilience makes it more suitable for a cabinet or shelving rather than a workable beehive. Twenty years ago, it was the norm to get what we call today “first quality” hive parts. In those days, it was not highlighted since it was the expected basic hive quality. Only a small percentage of hobbyist beekeepers with great carpenter skills chose the “second quality.” Professional beekeepers would not waste their time on anything less than perfect, clean-lined wood parts. They understood the importance of a sound hive. Recently, with the surge in beekeeping interest, and so many new hobbyists trying their luck at beekeeping, the suppliers have seen an opportunity to pass on substandard hive equipment to those who do not know any better. Beginners, having little knowledge of what they should expect, are being taken for a ride. After all, to a “newbie,” all flat-packed supers look the same! EBAY & Amazon – Good or Bad? As little as five years ago, there were scarcely any hive parts on either Ebay or Amazon. Now the choices are overwhelming! Many of these items come from countries outside the UK, or even outside of the EU. What’s wrong with that, you say? Plenty! A square box looks good in the photo, since the price is cheap. As a beginner, you are eager to start and perhaps short of money. So, you shop around, and as most hive parts look the same, you opt for the cheapest ones. Only after they arrive and you compare them with your friend’s beehive do the little drawbacks first appear. I have seen a major increase of beehive parts coming out of Eastern Europe, some good, many bad. Very few if any other countries outside the UK use the British Standard hive. But there is a market for it, so they do their best to copy what they think is correct. When you come to interchange those parts the problems becomes painfully clear. 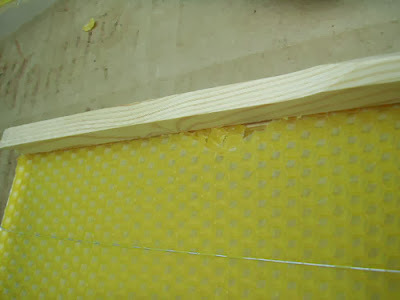 They might not line up properly, too big, too small, the inner dimensions of the box does not have the correct bee space, so your bees place brace comb everywhere. This will only become apparent once you use them on a working colony. The worst time to find out! Below are some photos of the problems we have documented. If you have any bad experiences with suppliers please share them with us. We hope this helps as a buying guide and reference. Easy for the beginner to miss! Here the brood box has been joined with a different piece of wood. This is not a single board. It is cheaper for the supplier to glue small off – cuts together to create a single board. The problem is that they are far less durable than the higher quality single complete piece. This is another way an unscrupulous supplier saves money, but passing the misery on to you! Again, here is an added piece of wood glued in place. 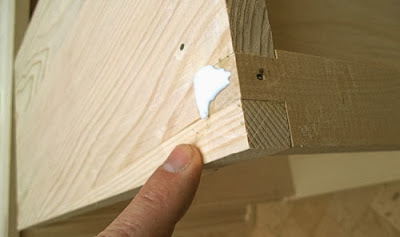 This point of the brood box is very important as you will be prying the box apart at this point. There is no doubt that this glued piece will come apart. 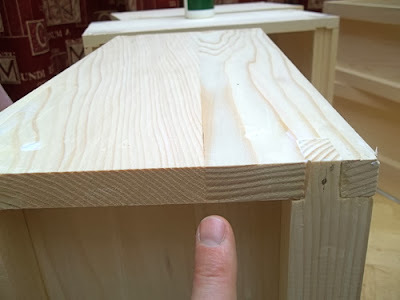 When making your purchase, make sure the grain of the wood is going in the same direction, with no obvious joints. Here we see the split at the point of the dovetail. This is a stress point and will continue to split in time. Another example of a split we have filled with glue. It is only a matter of time before the split gets bigger. This supplier made some National Brood Box inner side boards too long, and some too short. In time, your bees will build brace comb in the gap, or fill it with propolis! Not good. This supplier sold National Brood Boxes with an inner diameter that was 3 centimetres too large on both sides. Obviously the frames did not fit in the box, yet they sold these to the unsuspecting public. We had to router the sides bars to make them serviceable. This is a close up of the photo above. You can see just how much wood we were required to remove. 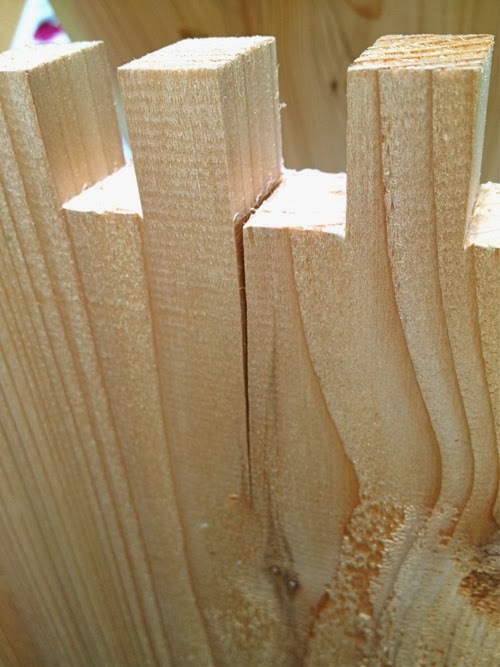 This supplier made the mistake of not keeping the same measurements for all their dovetail ‘fingers’. 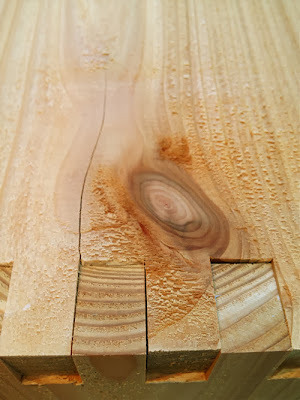 Some boards had larger fingers, so if you hammer them together, you split the wood. We needed to chisel away approx. 2cm on each finger. It was a time consuming task to right the suppliers mistake. Note the finger on the right. You will see the wood buckling as we tried to hammer it down. This large knot created a slit as we tried to join the boards. As the hardwood of this knot is within the finger of the dovetail join, if we hammer a nail into that finger, it will crack and break away. Hoffman Self Spacing Brood Frame. This knot is in the spacer side bar. We were unable to nail it in place so we had to bin it. More problems with knots. They are brittle hardwood that crack. This will create a spacing problem in time. This suppler sold frames with inner grooves that were too narrow. As we tried to slide the foundation in place, the foundation bunched up and torn . They had to be router by us to make them serviceable.